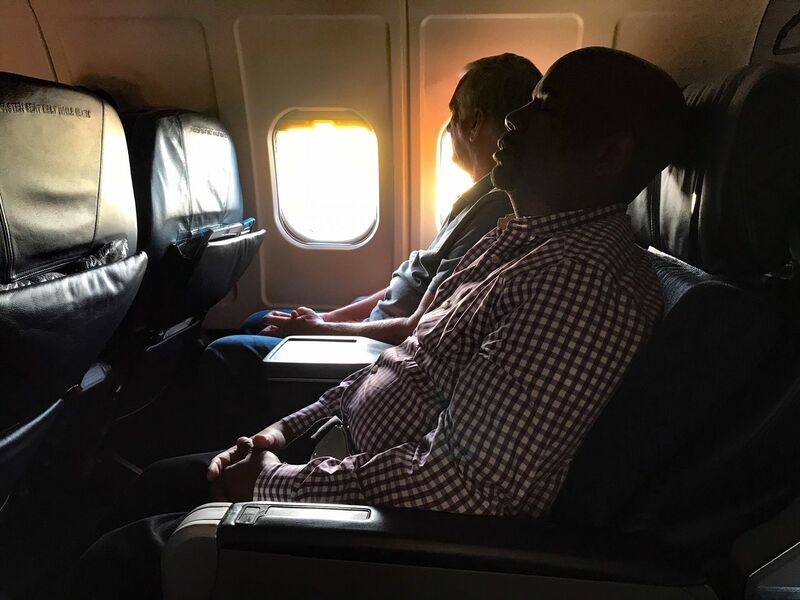 Click here to see the view from Gerry's camera on the flight to Dallas on 7/23/18. Some years ago I asked my sister who flew internationally for TWA for 40+ years as a flight attendant if she ever had anyone die while in flight; she said she had. When asked what they would do with the body, she said it depended on the passengers sitting next to the deceased. If no one objected, they would simply cover the deceased with a blanket. If one of the passengers objected, the body would be moved to a restroom and the door would be locked.